Editor’s note: Brandon Griggs is a senior producer for CNN.com, overseeing tech coverage. Follow him on Twitter. 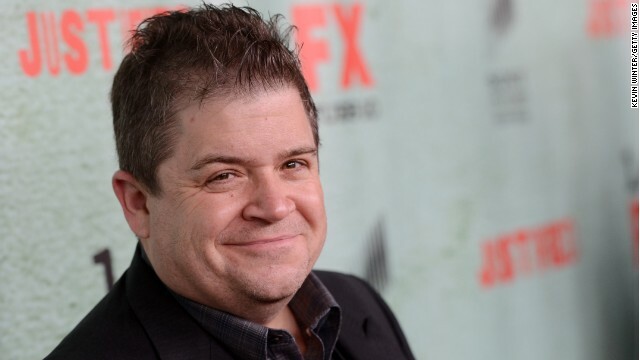 Comedian-actor Patton Oswalt may not seem the most likely person to soothe the wounded national psyche after the deadly bombs that struck the Boston Marathon. Oswalt has no obvious ties to Boston, and he makes a living telling jokes, not comforting the afflicted. “This is a giant planet and we’re lucky to live on it but there are prices and penalties incurred for the daily miracle of existence. One of them is, every once in awhile, the wiring of a tiny sliver of the species gets snarled and they’re pointed towards darkness,” he wrote. “But the vast majority stands against that darkness and, like white blood cells attacking a virus, they dilute and weaken and eventually wash away the evil doers and, more importantly, the damage they wreak. This is beyond religion or creed or nation. We would not be here if humanity were inherently evil. We’d have eaten ourselves alive long ago.